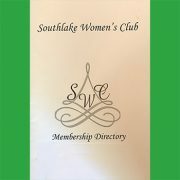 Southlake Women’s Club is celebrating our 20th year of Art in the Square with a kickoff event filled with music, food and unique works of art from this year’s featured artists. 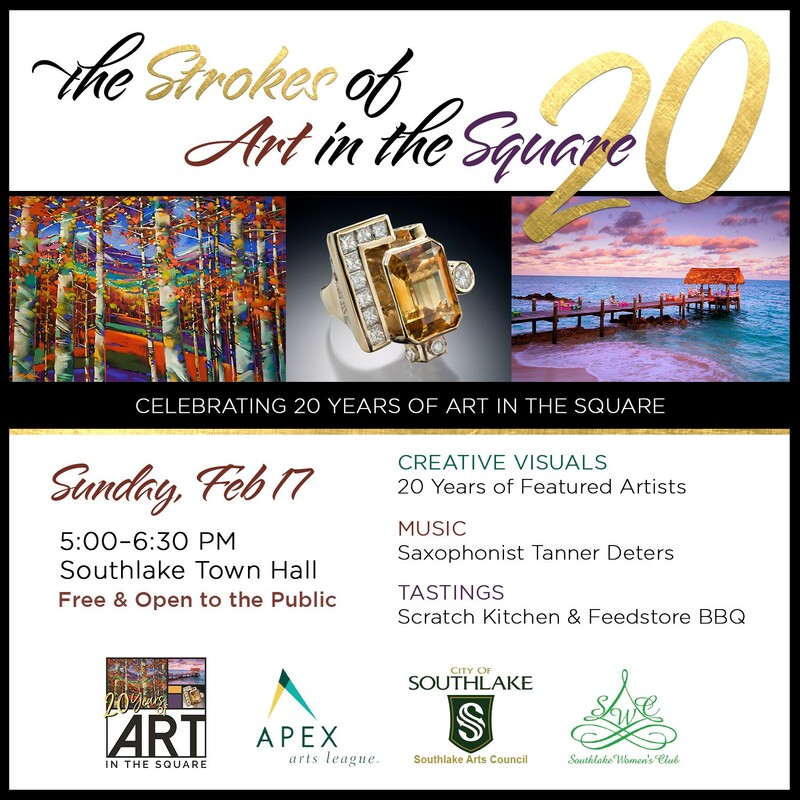 The Strokes of Art in the Square 2019 will be held at Southlake Town Hall on Sunday, February 17 from 5 p.m. – 6:30 p.m. The event is free and open to the public. The Southlake Women’s Club Foundation will present the 2019 Beneficiaries of Art in the Square. As in past years, guests will be the first to view creative visuals of the 2019 Art in the Square featured artists. This year’s showcase of featured artists will take on a different twist: the displayed artwork will feature returning artists who have participated in Art in the Square for at least 15 years. The People’s Choice Winner is selected by public vote from the featured artists. Voting begins at Strokes of Art in the Square and will end on April 1, 2019. Be sure to visit Town Hall between February 17 and April 1 to vote for your favorite! Strokes of Art in the Square is co-sponsored by the Southlake Arts Council, Apex Arts League and Art in the Square/Southlake Women’s Club. We look forward to seeing you April 26-28 at Art in the Square, where we will be “Celebrating Culture and Community” with art, entertainment and family fun. For more information, visit www.apexartsleague.com or www.artinthesquare.com.